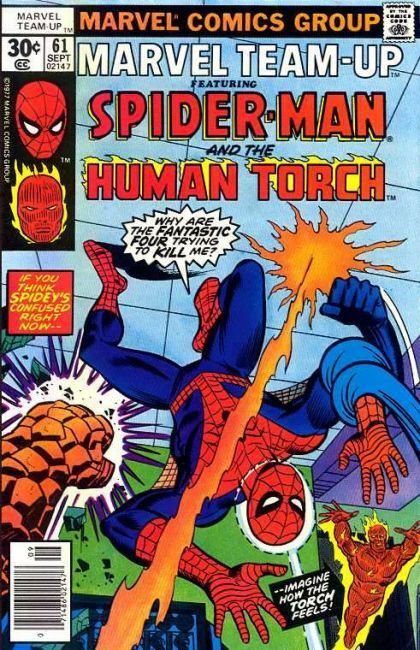 Spider-Man and The Human Torch: Not All Thy Powers Can Save Thee! Spider-Man heads to the FF headquarters, and is assaulted by what seems to be each member in turn. When the real Human Torch shows up, they realize that the Super Skrull is the true threat. The pair do their best to take him down, but it won't be long before one of them is out of the fight.